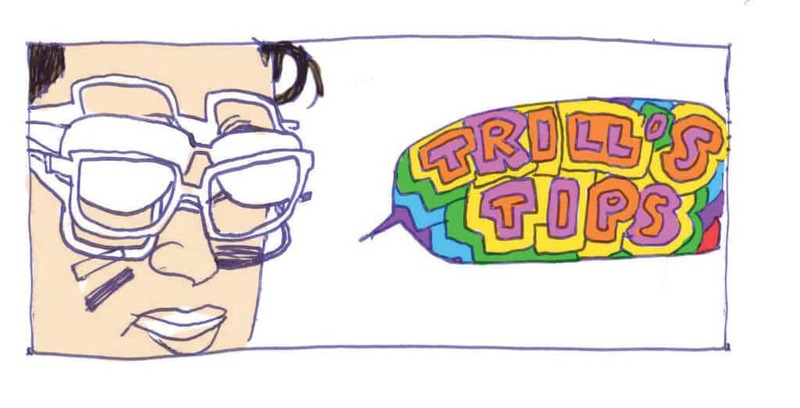 Ok, so like… I forgot I had to write Trill’s Tips this week, but have no fear! I am very smart and will make some up here on the spot. I don’t know what these are going to be about, so strap in because this might get crazy. Tip 1. Uh… Drink water? Everyone seems to get all up in arms about this but I don’t really see the appeal tbh… Like, why do I have to drink water specifically? It’s a free country, man. I’m going to drink whatever I freaking want. OK, so scratch this tip. Tip 1. (Attempt 2). Drink. We’re like, 70 per cent water, but who says that the fluid that makes us up has to be water? Why not high-fructose corn syrup? Or dark rum? There’s a lot of other options here, so honestly just get fluids into yourself in general but not specifically water. I mean, it can be water, just don’t feel like you’re limited to water. Expand your horizons to other fluids. Tip 2. Brush your teeth. I was watching this show and it said that like, 90% per cent of British people don’t brush their teeth every day. What the hell is going on over there? Like, the English and the French historically hate each other but you’d think they could bond over their lack of personal hygiene. The French don’t shower and the English don’t brush their teeth; those things go hand in hand. Anyway, cultural commentary aside, you should really brush your teeth. Nobody likes it when you don’t. Tip 3. Don’t read the Argosy. Just don’t do it! What a terrible journalistic institution! Yuck! P U! 0/10! BAD! OK guys thanks I love you all good night. -xoxo Trill.